I cannot feasibly talk lip products without mentioning my love with the Rimmel Apocalips (review and swatches here). Hands down they are incredible and I am specifically obsessed with the shade Apocaliptic. It is this gorgeous bright fuchsia, which as the other lip lacquers from the range dries to a nice semi matte finish. I adore the color because it is really bright and for the summer I am all about the bold, vibrant lips. If you still haven’t tried the Apocalips then you should know that they are super pigmented and not drying on the lips, which I love. They stay on for hours and are overall brilliant products and I definitely recommend checking them out. If you are into makeup you surely have heard how fab these lipsticks from YSL are. I feel like everyone and their dog have been raving about them for the past year or so and it’s completely understandable – they are simply amazing! 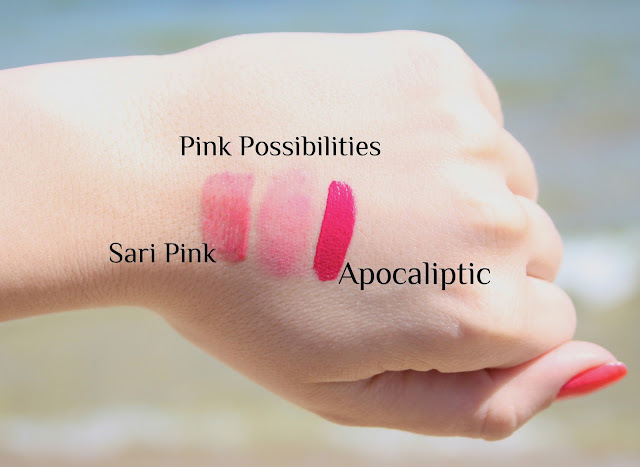 The Rouge Volupte lippies are incredibly pigmented and opaque and they are seriously the creamiest lipsticks that I’ve ever tried. They are super moisturizing and dry out to a beautiful glossy finish. One thing that I need to mention though is that they are not very long lasting but when I look at the gorgeous gold packaging I kind of forget about that haha. The shade that has been making its way to my lips this season has been #13 Peach Passion. It is basically a bright peachy shade with some coral undertones to it and I love how it brightens up my face when I wear it (especially when I have some tan on). <3 I know that this babe is on the pricey side but I honestly think it’s definitely worth the money and I highly encourage you to get it if you have the chance. If you are a fellow dry-lip girl then you know why I had to include a lip balm in this post. I like to have a lip balm with me at all times because I like to be prepared if I get dehydrated and my lips get super dry and rough. For the summer I really enjoy using this EOS Lip Balm in Summer Fruit (review here) because it not only moisturizes my lips massively but it also smells and tastes like a tropical island! :) If you’ve never tried the oh-so-famous EOS (‘Evolution Of Smooth’) lip balms then you may want to give them a whirl they are super hydrating and make the lips amazingly soft and smooth. They are 95% organic and 100% natural as well. I have been dying to try one of those EOS lipbalms, they look so cool! I also have YSL in #13, my favourite peach lipstick. I'm a massive fan of the Rimmel Apocalips too, I haven't tried the shade you have though but it's next on my list. I also love the Revlon Lip Butters and Tutti Frutti is a lovely shade. I still need to try the Rouge Volupte lipsticks! YSL #13 looks so beautiful! Definitely a colour that I'd wear! Some lovely colours in your collection! I really want to try out some of the YSL lippys, they look so lovely! Great picks! I love a good pinky-coral for the summer! how amazing are the YSL lipsticks!!! i love them so much. I love the color of the Kate Moss lipstick, and the fact that it's moisturizing makes it all the better! I love Kate Moss lipsticks! #16 looks so girly and chic! Tutti frutti is definitely one of my summer pics and any of my EOS lip balms. I love baby lips for summer too, now to find the apocalips/showoff in my city now.. I love the Rimmel apocolips so much! Their colours are incredible! very nice selection ! such lovely things ! 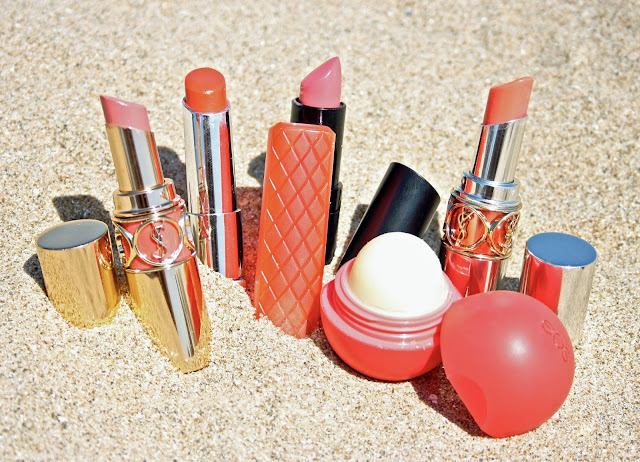 I really want one of the YSL lippies! 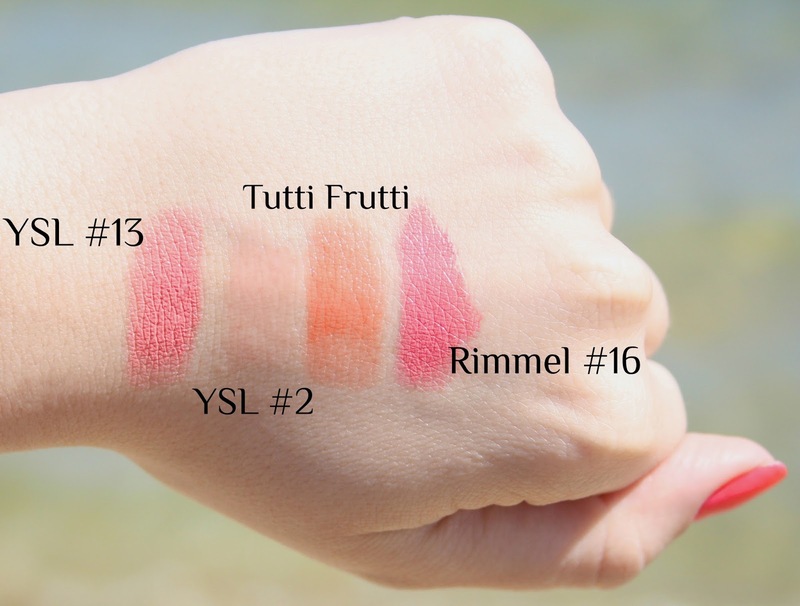 I am in total agreement with you about the Tutti Frutti lip butter, I've been wearing it so much! Look at all of these lovely products! That Dior one looks too good. 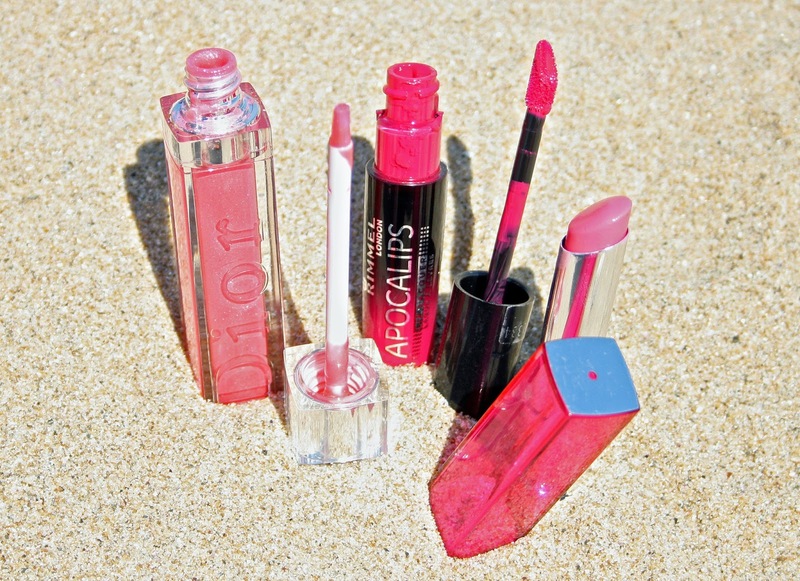 Have you tried Apocolips in Stellar? It's an amazing shade!! I need to try the Apocolips but I love the Revlon lip butters! Love Kate Moss for Rimmel lipsticks, I definitely need to try and get this shade! I love the creativity of your photos and shooting location! It's very cool. Also i LOVE the apocalips too, i've just reviewed them in my latest post! I agree on the YSL Rouge Volupte ones, to me their packaging alone let's me forget the price, it just always makes me super happy and make me feel special whilst just looking at it. love all these! the colors are so pretty! It's pleasant. I like your sharings. 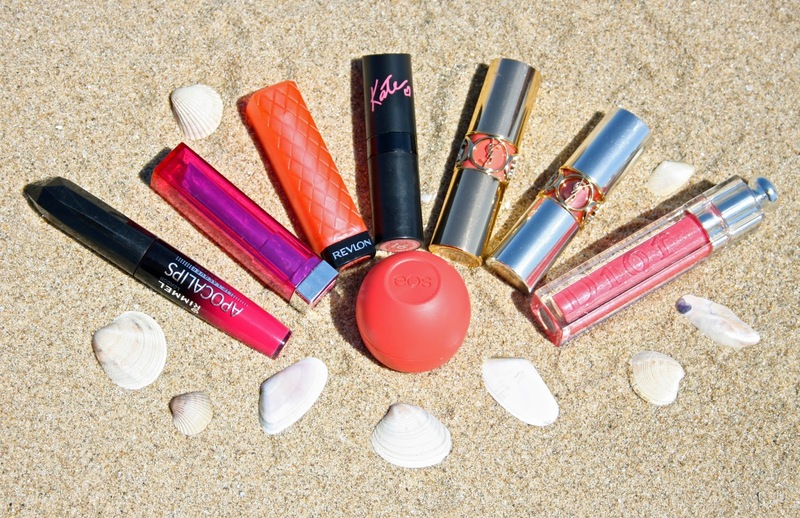 Summer 2013 calls for favorite lip colors to match wedding dresses.